I have RAMPS 1.3 PCB's!! These arent the latest RAMPS, the latest RAMPS being version 1.4, but this is the last version that isnt surface mount, far easier for us mear mortals to assemble. 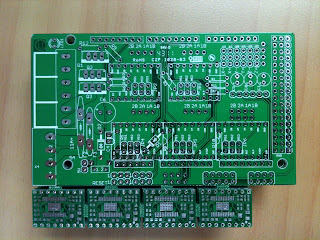 In saying that, these boards come with Pololu stepper compatible PCB's and they are surface mount. 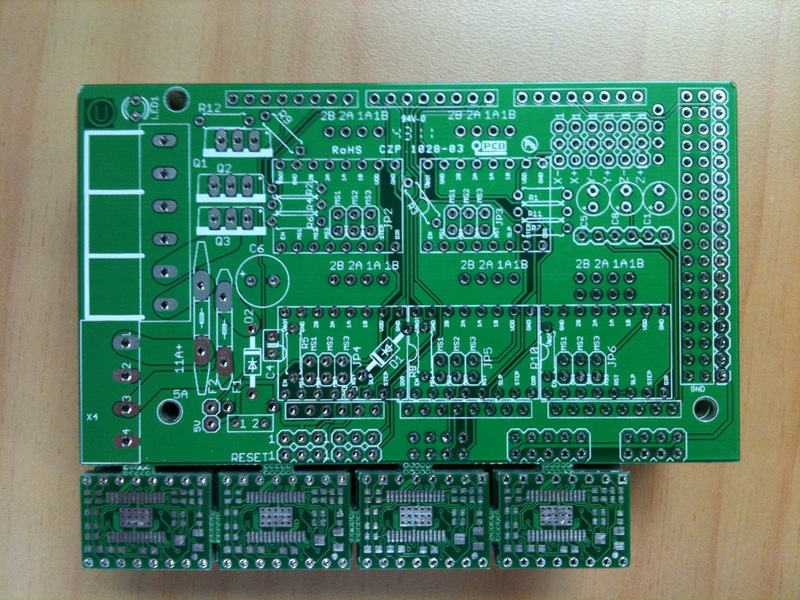 These stepper modules are based on A3979 chips vs the regular A4983. 1. A3979 will drive 2.5A, vs A4983 will drive 2A. 2. A3979 requires more passive components to provide a working setup (ie: on the carrier board) than the A4983. 3. A3979 has a lower RDS(on) value than the A4983 (slightly more efficient). 4. A3979 supports 1, 1/2, 1/4, and 1/16 stepping, whereas the A4983 supports 1,1/2, 1/4, 1/8 and 1/16 stepping. Basically the A3979 doesn't support 1/8 stepping. 5. A3979 is a physically bigger chip, so should be easier to heatsink. 6. A3979 is fairly common and stocks are widely available. " 2.5A is a nice feature. Not having 1/8 is loss.. But not really an issue. I run all my steppers at 1/16, but some like to run Z and or E at 1/8 micro stepping. I will put these up for sale on various site soon.